So this show is may 8th - 12th and apparently will have displays of Siege, SS and master piece. At the bare minimum, I hope they’ll show Dropkick and Hightower. I want a better look at those two. And maybe Dino, who knows. I would like a better look at Hightower as well. But I'm thinking anything new will be saved till Sdcc but perhaps London mcm at the end of May but hasbro hasn't confirmed they will be in attendance. We love cars very ad very much! So do we love transformers!! Lockdown is easily one of my favorites from the Studio Series line. Makes me wish I'd have picked up Shadow Striker on one of the 50 times I saw it at retail. The sculpting is just top notch on that guy, he really looks like the part. And yeah Shadow Raider is a really nice companion piece, either as a grunt mercenary or if you just want to gut him for parts. The guns from the CW Starscream look very nice on the SS version. Maybe I'll repaint them. I... honestly have no idea what's the difference. they moved a tab 1mm. no idea what benefit that gives though, as I don't have that figure. Is there any retooling done on Battle Damaged Megatron to improve his leg panels? I was gonna pass on him but the Target Cartwheel sale has me going "ehhhhhh weellllll"
the leg panels are a very easy fix. dip them in boiled water. squeeze them while they're still hot. rinse them off with cold water. and pop them back on. hot water makes plastic easier to permanently bend without causing stress marks, and once properly squeezed the flaps stay on without a problem. Dropkick’s popularity is irrelevant to his QC. The point is so far based on reviews I’ve read of him he’s been doing alright. Wasn’t Jazz’s tabbing problem already solved 10 months ago? Nobody seems to be complaining about it anymore, so I assume he should also be alright. Well I still can't tab in the doors on Jazz. There just seems to be a bit gap and apparently it can't be fixed. It doesn't bother me much as I never really display him in vehicle mode. Yeah same. I want a better look at the Jetpack, trailer and weapons for Prime. For Devastator, I'd like to actually SEE him. People are buying the constructicons and we don't know what it will create. Will Devy look good or bad? We need to see a proper prototype at least. Not some small model of what they think he'll look like, which we saw last time. What? How have I never seen that before and how the HELL did they get the animation to look so smooth?? That's a good animation/stop motion. I'm just going to pretend Jazz ran back for the other half of his body. I can't bare his deaths anymore (even though he kind of survived). In the voice of Aunt Viv...Put it back on!!! Seriously though..please put it back on, it's not a good look. Just finished the wing mod on Shatter and did the face swap. I also pinned the torso part, deepened the arm sockets, added some clear coat to tighten the joints and increased movement in the hip joints. In short, she needed a lot of work. Awesome job with her, she looks soooo much more accurate!!! I don't know that I'm brave enough to attempt the wing mod!! 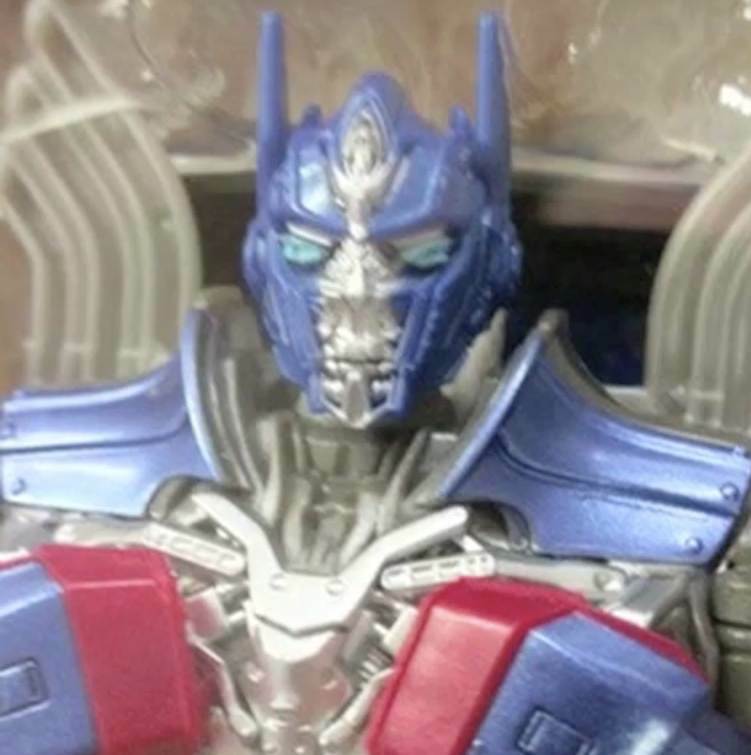 You know, last year I found a headless TLK Optimus at a thrift/collector store, I wonder if it was one of these maskless ones that someone took the head off of and traded the body in for a quick buck. sounds like you're not pushing the roof peg into his behind properly. it's a common mistake because it takes some effort, and it can only be seen through the window. 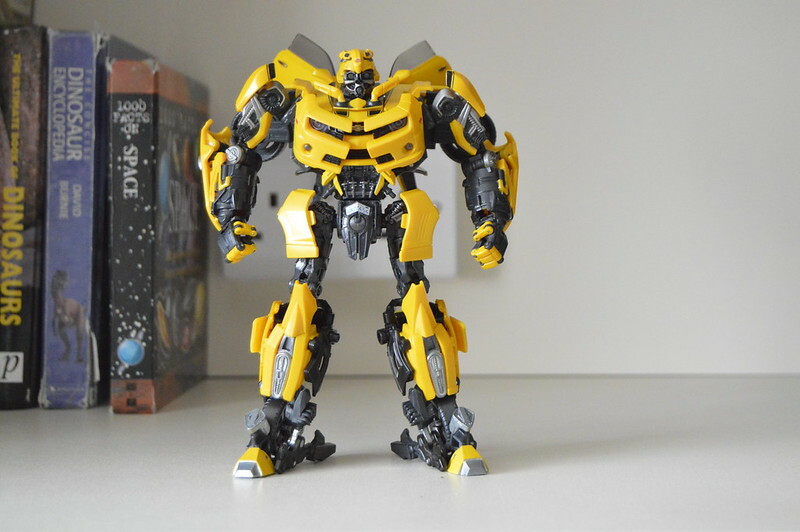 Toy World is really putting out some nice looking bots!! 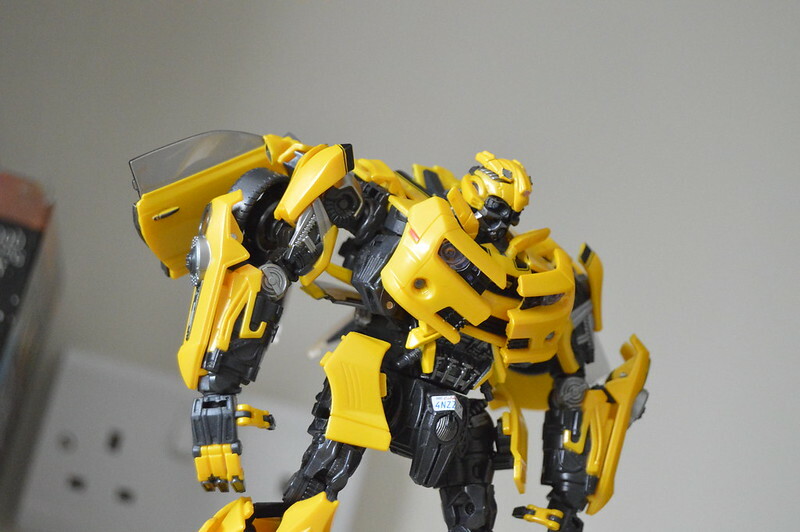 I'm loving the BB movie head sculpt!! I just hope that QC isn't an issue, due to the volume of toys they're going to be putting out! !